In the course of one week, former first lady of Nigeria, Patience Goodluck Jonathan, has lost over 5bn naira to the government. The sum of N3.04bn ($8.4m) had been earlier seized from her by a unanimous judgement of a five-man panel of Supreme Court Justices, last Friday, March 8. The decision of the Supreme Court Justices affirmed an interim forfeiture order by a Lagos Federal High Court. On Friday, March 15, 2019, another five-man panel Supreme Court Justices, again, in a unanimous decision, upheld a separate court order of forfeiture of a separate N2.4bn to the Federal Government. Forfeiture of the money was ordered by Justice Mojisola Olaterogun of a Lagos Federal High Court, in 2017. Mrs Jonathan appealed the order but was not heard. 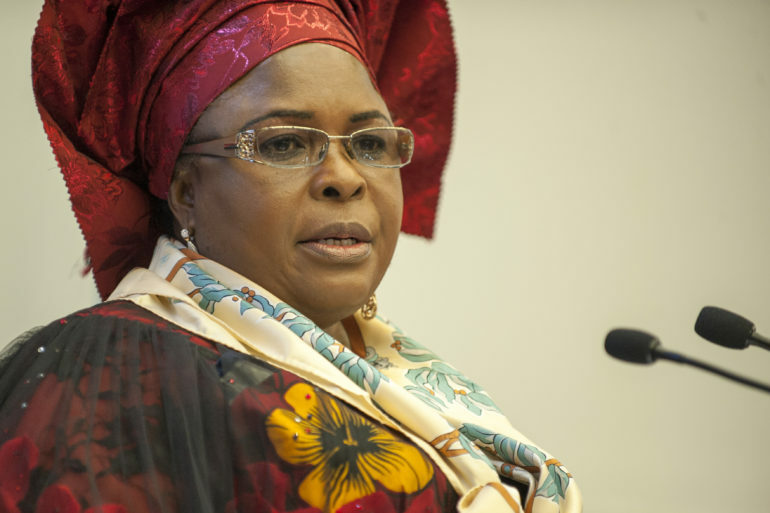 The monies (N3.04bn & N2.4bn) lodged in two separate accounts, suspected to be proceeds of illegal dealings, were traced to her by the Economic and Financial Crimes Commission, EFCC, in 2017. According to the EFCC, the N2.4 billion was traced to the account of La Wari Furniture and Baths Limited, domiciled with EcoBank Plc. Mrs Jonathan, again, appealed the ruling in the court of appeal, Lagos division, which upheld Justice Olatergun’s interim order. She headed to the Supreme Court and, was again, turned down on January 12, 2018, in a lead judgement read by Justice Mojeed Owoade. Her counsel, Mike Ozekhome, SAN, filed a fresh appeal challenging the order at the Supreme Court. The apex court unanimously decided in favour of the initial order of interim forfeiture of the N2.4bn to the federal government on Friday, March 15, 2019.